The South Louisiana Wetlands Discovery Center partners with the Mandalay National Wildlife Refuge to offer the Mandalay Trail Adventure. Students travel from the Bayou Terrebonne Waterlife Museum to the Mandalay Nature Trail to participate in a wetlands foliage scavenger hunt. 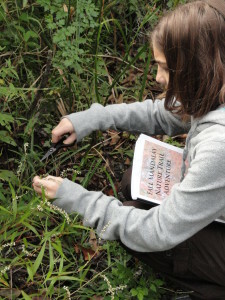 Teachers lead the students through the hunt and explain the differences between native and non-native species, invasive and non-invasive plants, and the benefits as well as the harmful characteristics of some of them. Students then travel back to the Bayou Terrebonne Waterlife Museum to discuss their findings and participate in other hands-on learning activities.